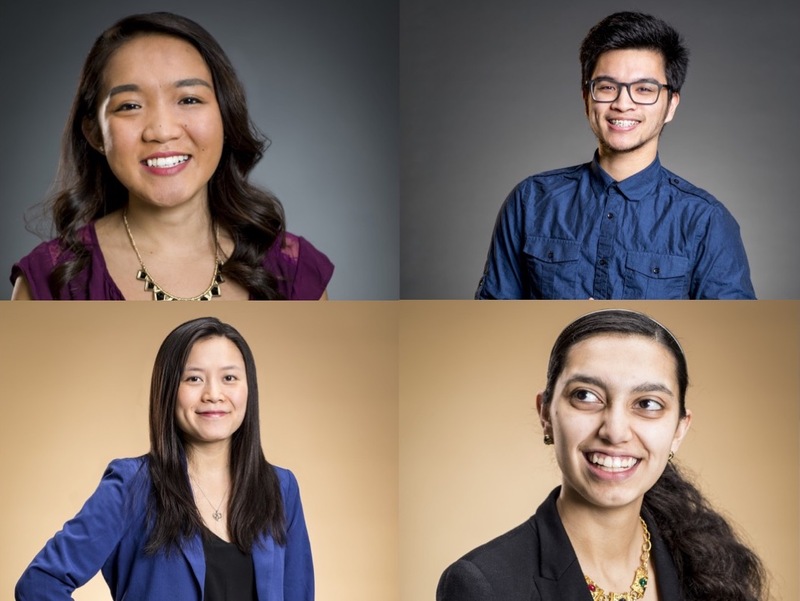 A desire to advocate for and empower underrepresented populations drives four University of Washington College of Education students named to this year’s cohort of the Husky 100. Bains, the daughter of Sikh American immigrants, grew up in Omak and dreamed of attending UW. Since coming to the University, she’s taken on a variety of leadership roles, including as a First-year Interest Group leader and director of campus partnerships for the Associated Students of the University of Washington (ASUW). The early childhood and family studies major led a Pacific Northwest-wide service project focusing on the water crisis, organized students to advocate for mental health awareness and policies, connected with female entrepreneurs around the world and even started her own business. As a student at Seattle’s Ingraham High School, Powell received support from UW Dream Project mentors in the college application process, and was accepted into the University’s Honors Program. That experience inspired Powell to help other high school students who face barriers to pursuing higher education. Powell has served in a variety of leadership roles with the Dream Project, including as a college and career readiness assistant at Olympic Middle School in Auburn and as high school lead mentor at her alma mater, Ingraham. She's also served as director of programming for ASUW. Van also has been active in the Dream Project, starting as a mentor at Global Connections and Foster High School and going on to become a high school lead at Global for three quarters. The education, learning and society minor also works as a peer adviser for UW’s Undergraduate Academic Affairs, First Year Interest Groups leader and Dawg Daze leader for UW’s First Year Programs, and campus tour guide for the UW Office of Admissions. She has been part of the Student Affairs Administrators in Higher Education Undergraduate Fellowship Program since Fall 2016. This summer, Van will be doing a six-and-a-half-week internship at Western Carolina University as a summer learning community coordinator for the university’s Office of Mentoring and Persistence to Success, supporting the summer programs that work with incoming first-year students in their transition to college. Next fall, she will start graduate school to pursue a Master in Higher Education & Student Affairs and hopes to address inequities and barriers in college access and retention for underrepresented students and support students in navigating the complexity of the higher education system. "Recognizing the impact of peer-to-peer mentorship, building intentional relationships and empowering students to share their experiences and stories has been at the core of my involvements and will continue to be at the heart of my work," Van said. "The Husky community empowers me to be a socially-just leader." Novelo, who earned his bachelor's degree in ethnic, gender and labor studies from the UW Tacoma, recently started the College of Education's Secondary Teacher Education Program in social studies. "I vow to be a catalyst for change, and I will lead those who need it most," Novelo said. The Husky 100 recognizes 100 UW undergraduate and graduate students from Bothell, Seattle and Tacoma in all areas of study who are making the most of their time at the UW. Husky 100 students are making a difference on campus, in their communities and for the future through their passion, leadership and commitment.